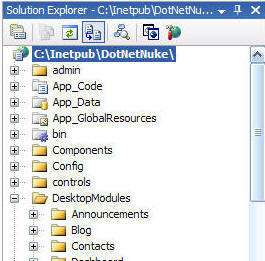 You want to create a DotnetNuke module and you want to distribute it but you don't want to give away your source code? Package the module. This package will include the source code. The source code will be replaced with compiled assemblies (.dll's) in a later step. While logged in as the Host account, Select Module Definitions from the Host menu. Click the pencil icon next to the module to select it and navigate to the details. 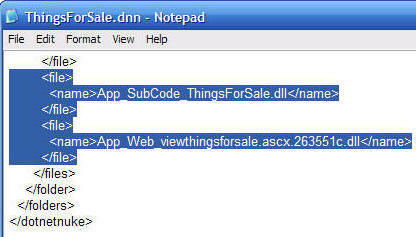 In this example we are using the module ThingsForSale that was created in the tutorial from Step 2. 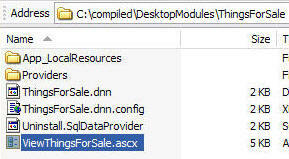 From the menu for the module definition for ThingsForSale, select Create Module Package. 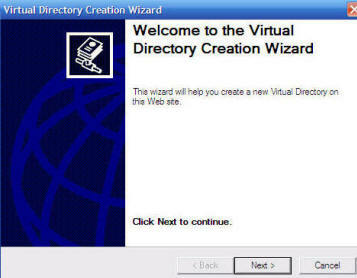 Enter a name that ends with .zip and click the Create link. The Private Assembly will be created. However it will not contain any assemblies at this point. It will contain source code. You can retrieve the .zip file from the root directory of the portal. When you open the .zip file you can see the module elements. 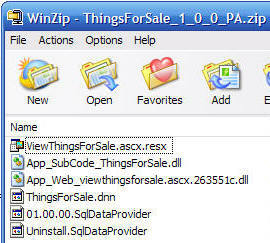 The source code is contained in the files with the .vb extension. These will be replaced with compiled assemblies. 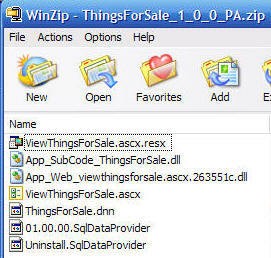 Note: At this point the ThingsForSale_1_0_0_PA.zip file can be used to install the module. Therefore, you will want to save a copy for use when you want to distribute a source code version of your module or to archive the version of the module. 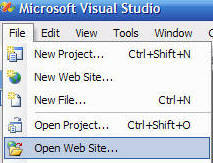 Open Visual Studio 2005 and from the File menu select Open Web Site. 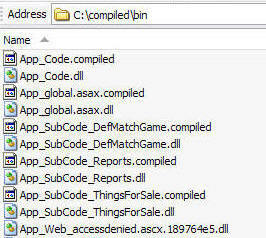 When you look in the C:\compiled\bin folder you can see all the assemblies. 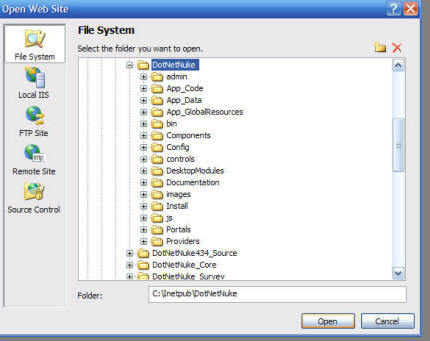 Locate any assemblies with the .dll extension that contain the name of the folder your module was in. 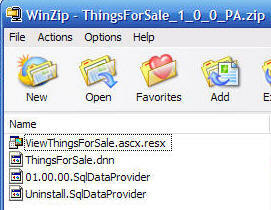 For example, the ThingsForSale module was in the \DesktopModules\ThingsForSale directory. Therefore, any assembly that has the words thingsforsale in it's name is a compiled assembly for the module. 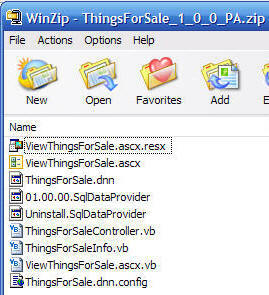 Add the names of any of the assemblies you added to the .zip file. You will now have a .zip file that can be installed in a DotNetNuke site. Click Here to download the file created with this tutorial. When you create a new version of your module you will want to allow it to be upgraded. To upgrade the module the portal administrator will upload the new version of the module. 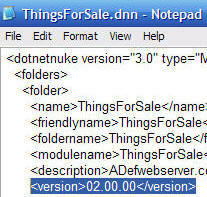 The DotNetNuke framework will detect that a new version has been uploaded and upgrade it. The problem you will have is the old assemblies will need to be removed, otherwise you will have a potential namespace conflict because the old and the new assemblies will both reside in the /bin directory at the same time. To resolve this you will need to include a .txt file in your .zip file that will instruct the DotNetNuke framework to remove all previous assemblies for all previous versions of the module. This is assuming you have created a new version of the ThingsForSale module. 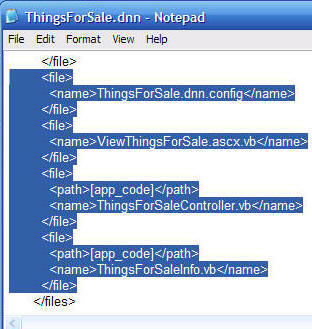 The first step is to change the version in the .dnn file. Next, create a text file named 02.00.00.txt and place the names of the assemblies for all previous version of the module using bin/assembly name format. Place this file in the .zip file for the new version of the module.